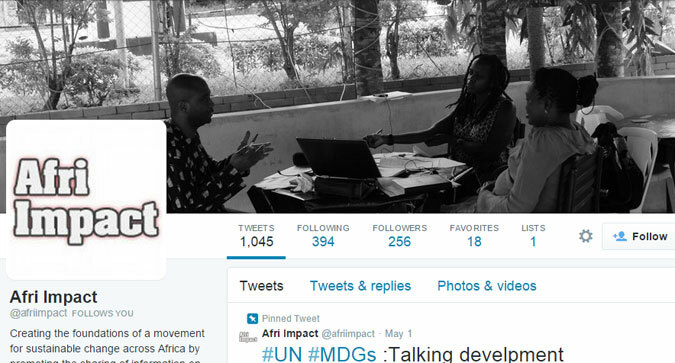 Afri Impact highlights and profiles smaller African charities that are primarily involved in health and education. The website was built as the public face of the organisation but has grown to include social media profiles too. 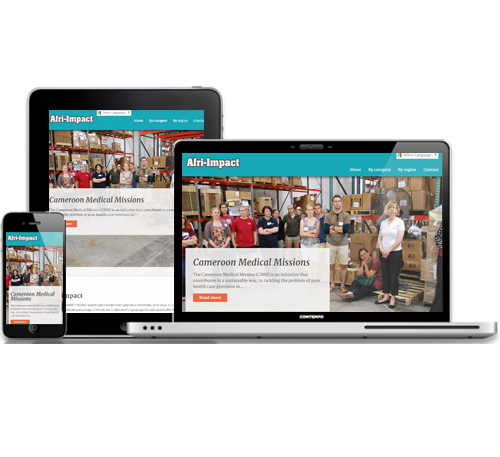 The website was built on Umbraco, a content management system allowing staff easy access to edit existing pages as well as create new profiles and blogs. 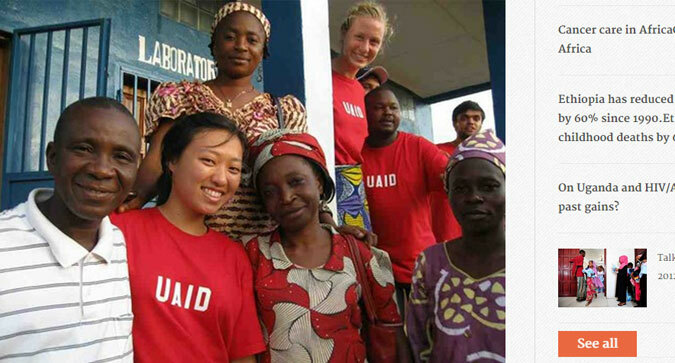 The website features profiles of smaller organisations throughout the continent. 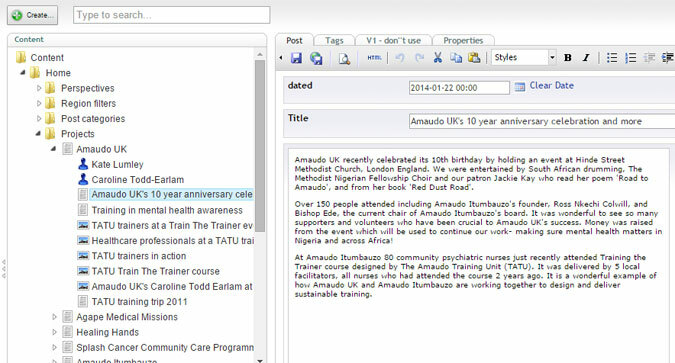 These are made up of text, photo galleries, contact details their own independent blog. 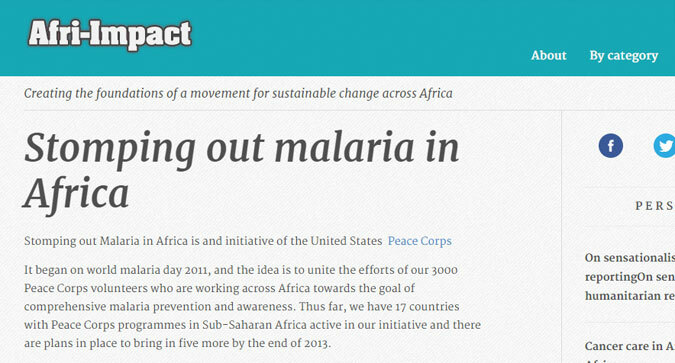 A blog was created to draw attention to developments on the continent around health and education. This was built to allow text posts, videos or photo galleries. This content is used to help promote the site on social media platforms. I helped setup, and gave advise around using social media to increase site traffic and grow engagement. This covered Twitter, LinkedIn and Facebook.